It's not your imagination. A recent spike in home runs has hit professional baseball. In 2015, Major League Baseball's home run rate averaged 1.01 per game (it had been 0.86 the year before). In 2016, it grew to 1.16. Last year it was 1.26. Theories have abounded as to why, many centering on the balls having been altered, or "juiced." "I think the balls are juiced, 100 percent," Astros pitcher Dallas Keuchel said last October after his team won Game 2 of the World Series. "Major League Baseball wants to put on a show." Now the league is attempting to show what is really happening. It hired a panel of 10 experts — including baseball researchers and professors in engineering, math and physics — who on Thursday released the findings of a months-long study in a bid to provide answers. They concluded that the increased rate of home runs was owing — at least in part — "to a change in the aerodynamic properties of the baseball." Bottom line, the researchers say, the ball is definitely going farther, thanks to reduced drag. Drag is the force working against a flying ball. Less drag means less resistance — a good thing for those who want the ball to go farther. Landing on that conclusion was a win, according to Alan Nathan, study chairman and a professor emeritus of physics at the University of Illinois. "That was, to me, an unexpected but very, very satisfying result of this study," Nathan said. But the scientists could not say exactly why there is reduced drag. "We cannot find a single property that we can measure that would account for decreased drag," said Nathan. 2. It's not because of the weather. While hotter temperatures lower air density and result in reduced drag, the panel found that the home run rate rose even at fixed temperatures. 3. It's not the pitchers. The panel found no evidence of a meaningful change in pitching strategies that could account for the spike. Nathan said while a lot of people had come up with conspiracy theories, he and the other panelists took a scientific approach to the issue. "I think it was important to do that, if for no other reason than to satisfy ourselves and what it is we know and don't know and to address some of the theories that were out there as to why there was such an increase." He added that he understands some people will be unsatisfied with the panel's findings. "We don't want to claim more than we can legitimately claim," Nathan said. "To admit that there are things that we don't know, we don't like to have to admit that. But that's what we have to admit." 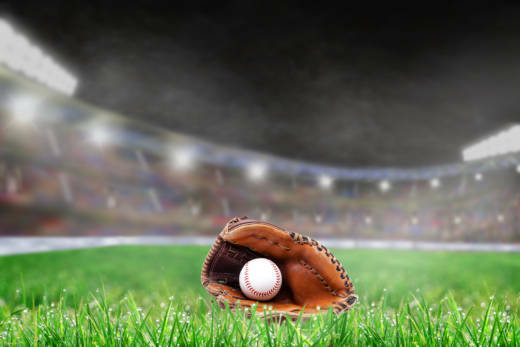 The committee has made several recommendations as a result of the study, including standardizing the application of mud on the baseballs, since the texture of the surface impacts drag. Meantime, testing to pinpoint the cause of the reduced drag is ongoing, and there remains room for theories — some possibly coming from left field — about just what is going on.